Today’s review is for the men out there (or the ladies who are looking for holiday/birthday gifts already), and it’s a good one. While I’m waiting for some brand new travel bags to come in, Travelon asked me if I’d like to choose a product to review while on my trip to Anaheim and LA. 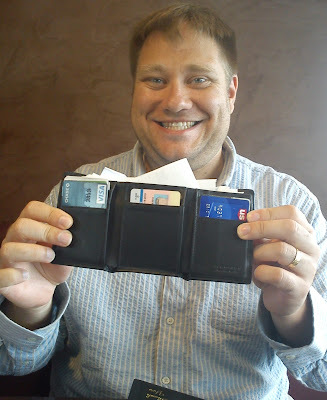 My husband is a wallet “collector”. I think mostly it’s because he never finds just the right one, but he will pore over a selection of wallets like I do with a wall of shoes. He will buy one or two and be excited about the current one for about three days and then declare he hates it and go back to his old beat-up one. Now, I can tell you I adore 95% of the shoes I buy, so I don’t understand what it is about a wallet that makes it “unacceptable”, but I don’t have to carry it, so I don’t tell him anymore that it will probably end up in the donation box in a week. With the huge choice of items on the Travelon website, I asked if he might be interested in trying one of their RFID-blocking wallets, since he was talking about getting one before our next trip. 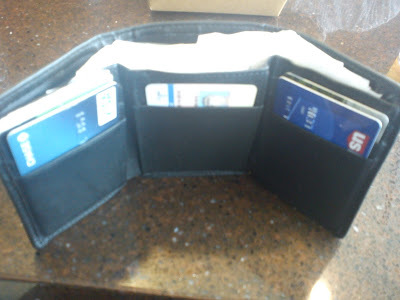 He jumped on the opportunity and chose one that was similar to his regular wallet – a trifold jobbie with slots for plenty of cards and a separated bill compartment. For those of you who don’t know, there are now these nifty little electronic gadgets that thieves use in large tourist areas and airports that can steal all your credit card numbers and other important info. You never know that you’ve been robbed, because all your cards are still in your wallet. Your balances can be run up while you’re on the plane or sleeping and you won’t know what happened until you go to use a card and it gets declined. Serious travel catastrophe! Looks great – Obviously, he chose the style he did because it looks great and is sleek and classic looking. It also has super features that make it even better. It’s made of soft cowhide leather, but we both agree that it looks even better than a normal leather wallet and it appears to be much more flexible, allowing it to stretch when needed. 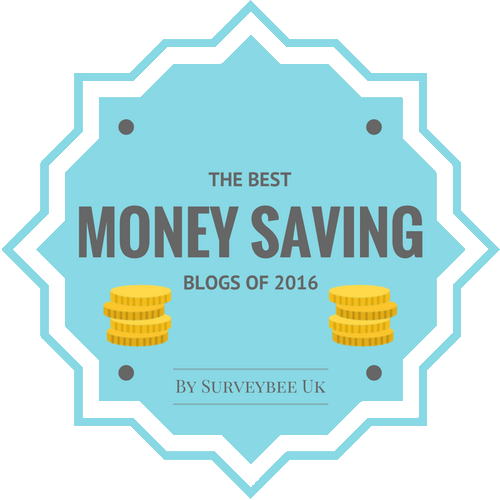 Peace of mind – If you (or your man) worry endlessly about almost everything, especially money, then an RFID-blocking wallet is totally something to put on your wish list. Eric is always mulling over something that may or may not be important and ruining his own good time. This gave him several things to cross off the list. He knew his information was safe and he wouldn’t have to deal with an avoidable travel disaster in the middle of our trip. One of the big things he worries about is having to work with people he doesn’t know to solve a problem. At home he can just pop into his local bank branch, but on vacation, we may have to talk with new customer service reps or even people he may not understand if we’re in a foreign country. If we can eliminate some stress fairly easily, I’m all for it, since his worrying can also ruin the day for me, too. Large compartments – While this wallet is the same size (and maybe a tad smaller) than your regular wallet, the compartments are large and can hold a fair amount of money – if you’re lucky enough to have it. 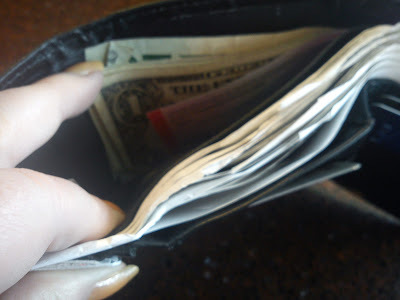 The section for paper money is divided into two sections, so you can use the one section for domestic bills and the other for foreign, or you can do like Eric does, and probably a lot of other men do, and use one for money and the other for receipts. He tends to collect receipts for a week to a month before he cleans it out and starts over. Look at all the paper he has in there! And it still closes just fine. 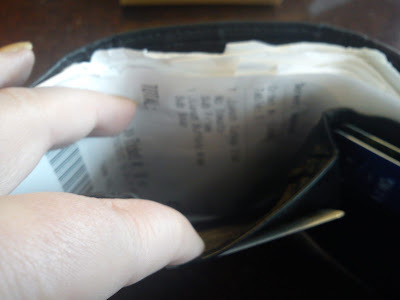 Plenty of card slots – Even I know the annoyance of not having enough slots for cards in a wallet…or having a ton that you don’t use and make your wallet too bulky if you do use them. The Travelon trifold wallet has 7 card slots. You may not think this is a lot, but it appears it’s just the right amount. 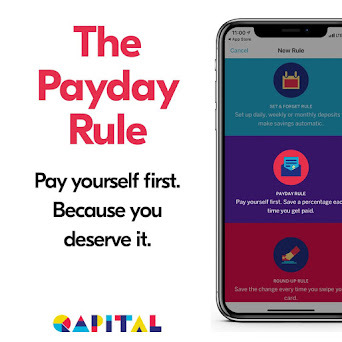 The slots are just wide enough that the cards slide in and out easily – no more struggling to get your debit card or ID out every time you need them. Not only that, but you can put more than one in a slot if you need to. This doesn’t mean that they are all loose in there and your cards are going to just fall out everywhere. They are still super secure. Eric was able to put our theme park tickets in a slot along with any FASTPASS tickets we were waiting to use and our room key. Now that he’s home, he says he will keep all of his insurance info in one slot (convenient to have it all together), but that it is also perfect to be able to put more than one of your million rewards cards in, so you aren’t using one slot for each one and then have no space for important credit cards and identification. 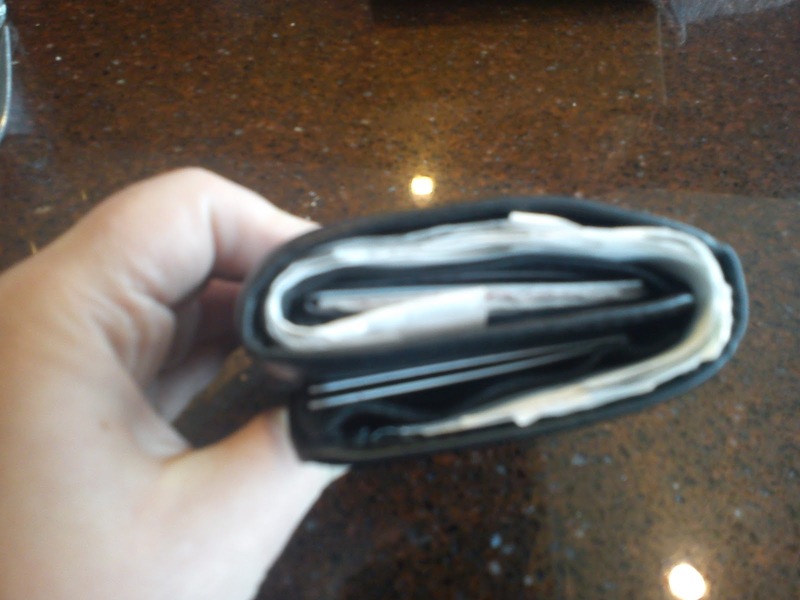 Overall, he has had no complaints with this wallet and loves the durability of it. The soft cowhide will last for a long time and the matte finish will not crack like those shiny leather wallets always seem to do. It’s a winner! He says he highly recommends it and is excited to find what he considers the perfect wallet [actual opinion!]. It’s compact, even when totally full and doesn’t make your pocket unusually bulgy either. This is not the only style of RFID-blockingwallet that is available through Travelon. There is something to suit everyone’s preferences, from front-pocket styles to billfolds to cardholders with a money clip. If you’re a lady looking for a new wallet for your travels (or every day), then you can find RFID-blocking ones in all shapes and sizes as well! Again, with the holidays rapidly approaching, this is a great time to start your shopping, especially if you have a hard-to-buy-for person on your gift list. Everyone carries money and cards of some kind and, even though these are particularly great for travelers, they are not limited to them. Check out their awesome selection! Other specs: RFID blocking card slots, 3.5″ x 4.25″ x 0.63″ (closed), 8.74″ x 4.25″ x 0.13″ (open), soft cowhide leather. Like Travelon and their great products? Find Travelon on Facebook and Twitter. Disclosure: I was provided a wallet for the purposes of this review, but all opinions are 100% mine or Eric’s.